Historical hotels! Are you looking for Hotels in a historical setting for the weekend? Rusticae has exclusively selected the best historical hotels, to ensure you will have the perfect stay. Also country houses, apartments and lodgings. You will see that Rusticae has the best prices! Book now! Sometimes, you’re looking for a hotel to spend your holiday, but you feel it’s always the same... And you’re seeking for something different, for that little extra that makes your trip something special. 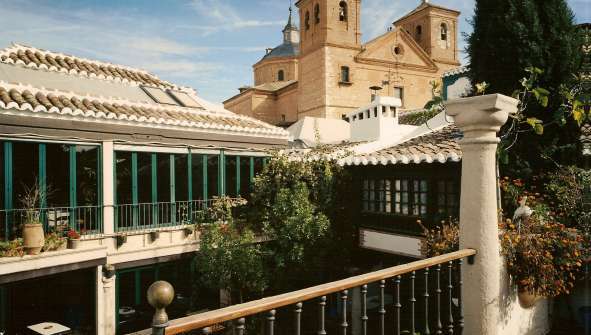 Our work is to provide you with the best choice to enjoy your stay, and that’s why we’ve hand-picked the best historic hotels in Spain, so you won’t just relax, but also walk along a baronial hotel, stepping through the footsteps of history. If you’re interested in art, history and culture, let your imagination fly and enjoy the elegance of these hotels.